The best part about this list is that the only thing I'll need to purchase is the stormraven gunship... and because there isn't a model for it yet, I won't be tempted! The most noticeable difference? That tactical squad is no more... now it's a devastator squad with four missile launchers instead of the one that I would have been running with the tactical squad. Is it more points? 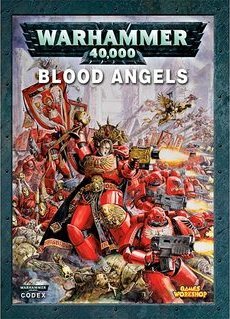 Actually they're pretty comparable (although the devastator squad has fewer marines)... but I think it will be worth it. I might consider other heavy weapons for the devastators, except that I already have tons of missile launcher bits from the Dark Angels veterans kits.